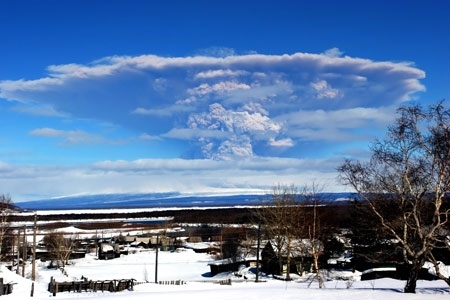 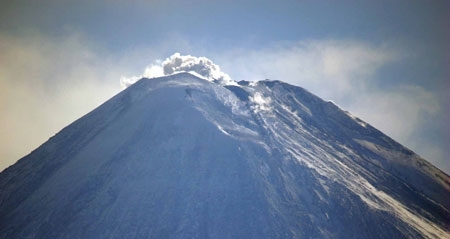 Explosive eruption of Chikurachki volcano on April 06, 2007. 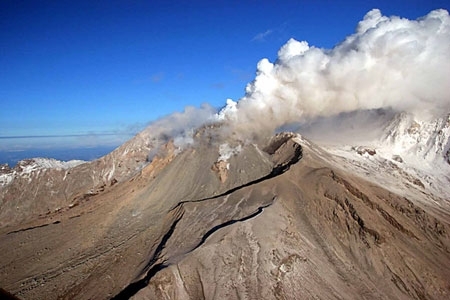 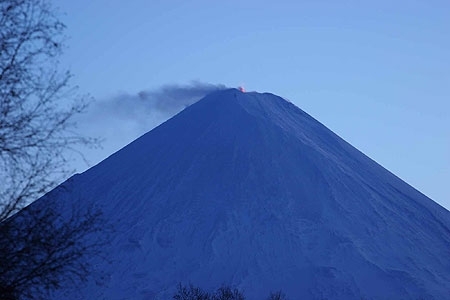 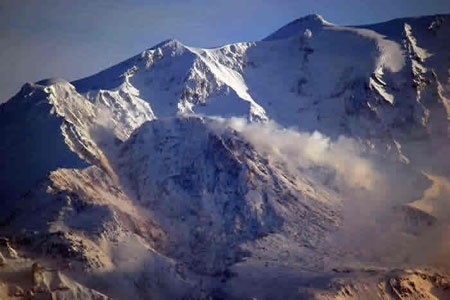 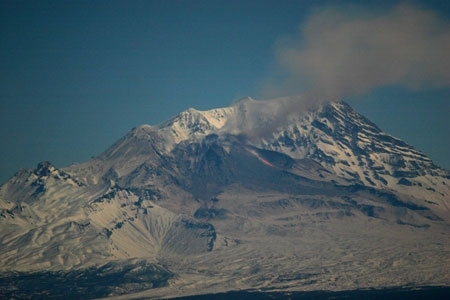 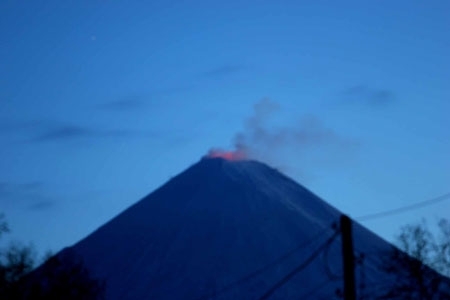 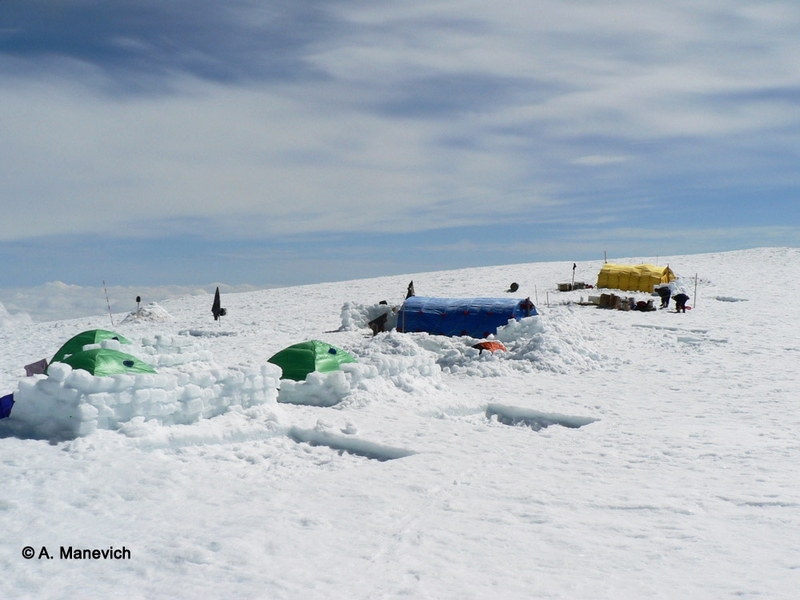 The state of Bezymianny volcano on March 02, 2007. 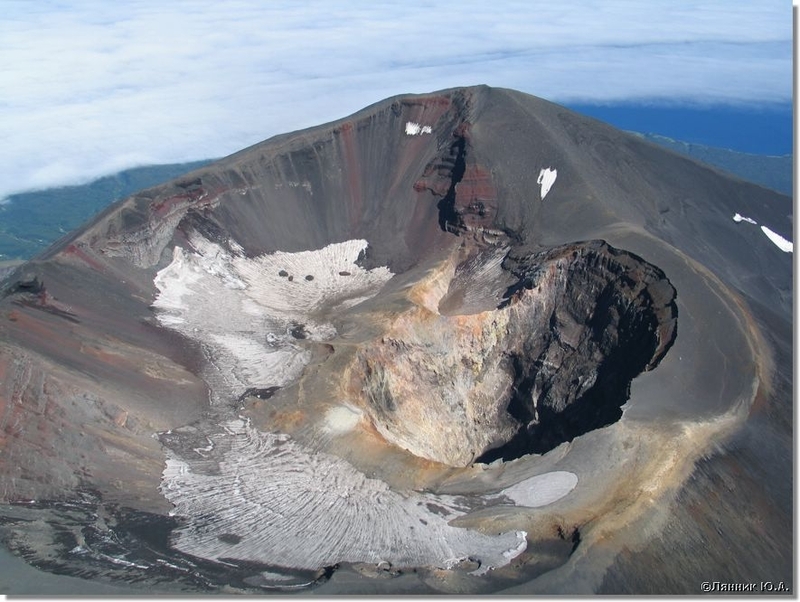 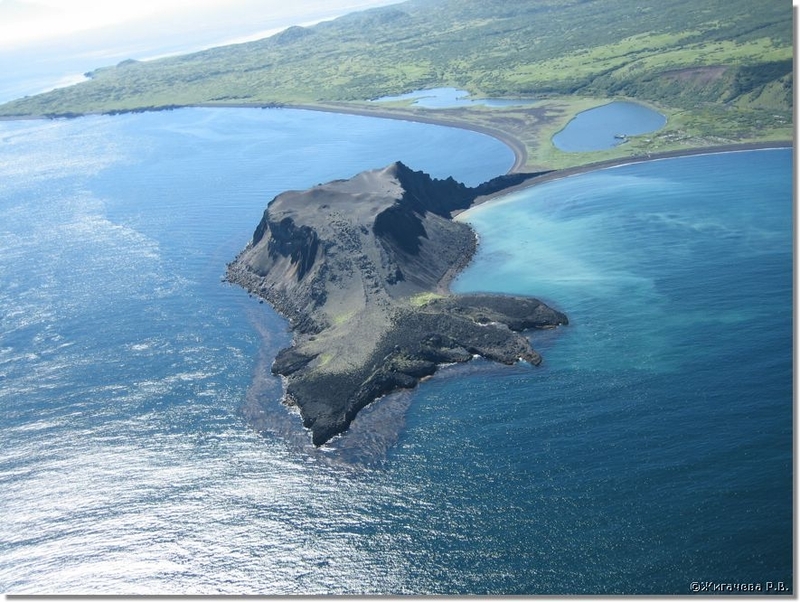 Scoria cone into therminal volcanic crater. 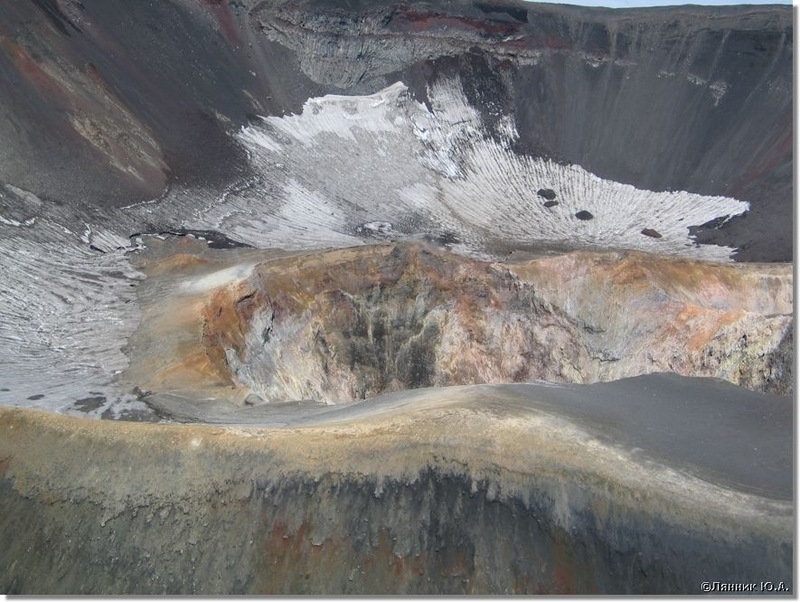 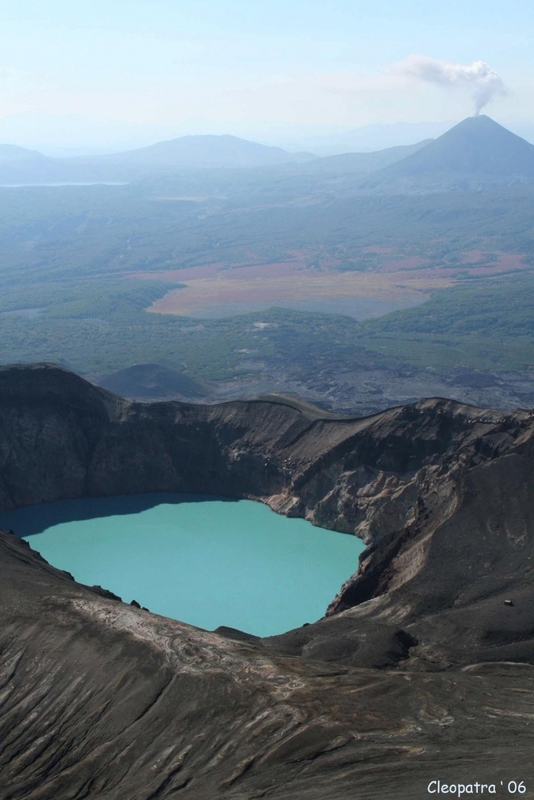 Therminal crater of Alaid volcano. 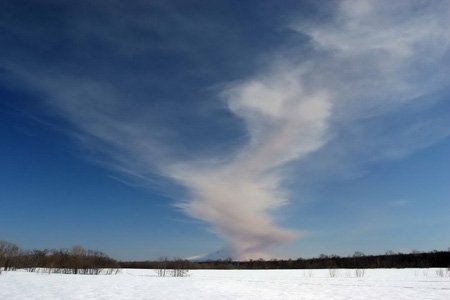 The initial flank cone Taketomi, 1933-1934 eruption. 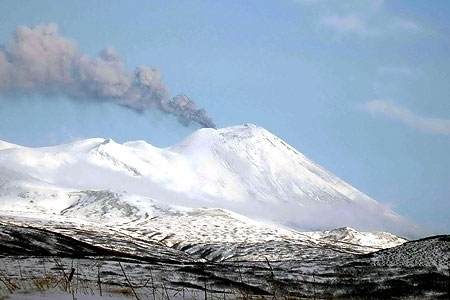 The state of Bezymianny volcano on December 27, 2006. 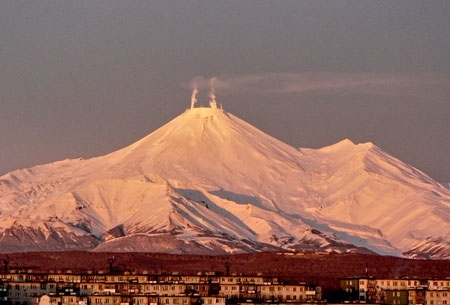 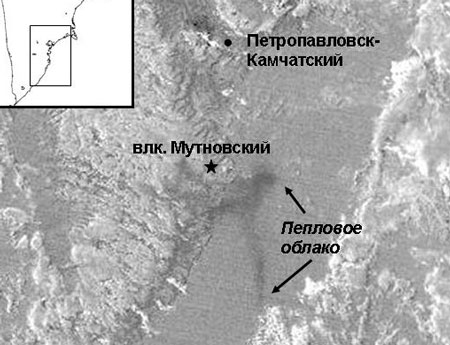 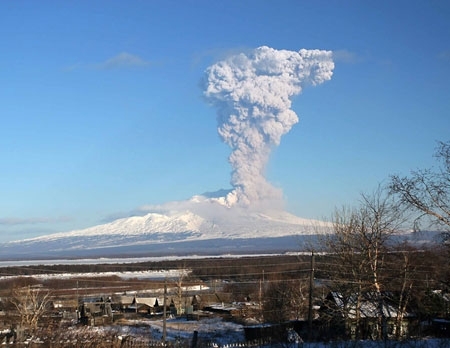 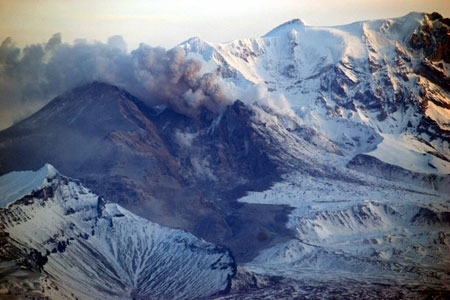 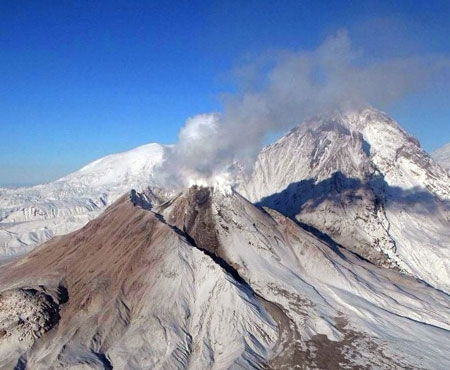 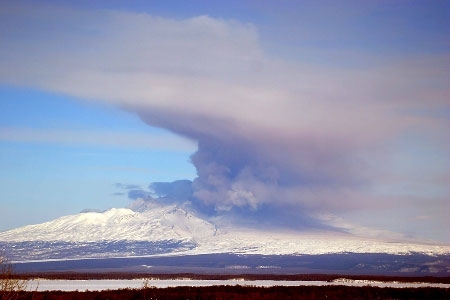 State of Avachinsky volcano on December 20, 2006 (at sunset).